The recent history between two teams in the head-to-head clashes favours Mumbai, as Rohit Sharma and Co. have beaten the yellow brigade in four out of the last five contests. 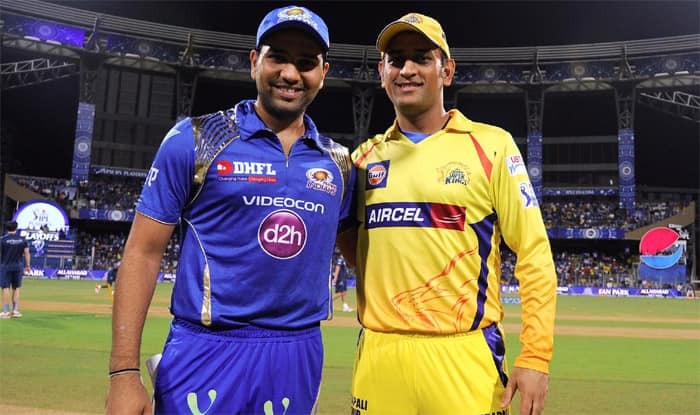 With skipper Mahendra Singh Dhoni in red-hot form, Chennai Super Kings will start favourites against the slightly off-colour Mumbai Indians when the IPL’s two most successful teams have their first showdown of the season on Wednesday. The Super Kings, three-time winners of the T20 League like the hosts, have been on a roll with three wins on the trot that have boosted them to the top of the table. Mumbai Indians, on the other hand, had a familiar stuttering start with a victory sandwiched between two defeats. Recent history in head-to-head clashes is in MI’s favour, as the Rohit Sharma-led home team has beaten their rivals in four out of the last five contests. Overall too Mumbai holds a 14-12 advantage over CSK, including one win in the defunct Champions T20 League. However, CSK seem to hold the edge this time around, especially with Dhoni rolling back the years with a typically robust 75 off 46 balls that lifted his team from 27 for three to 175 for five against Rajasthan Royals at home in their last match. And with Dwayne Bravo holding off Rajasthan’s charge at the end with the ball, CSK maintained their 100 per cent record. Mumbai Indians: Rohit Sharma (C), Jasprit Bumrah, Hardik Pandya, Krunal Pandya, Yuvraj Singh, Kieron Pollard, Lasith Malinga, Rahul Chahar, Ben Cutting, Pankaj Jaiswal, Ishan Kishan, Siddhesh Lad, Evin Lewis, Mayank Markande, Mitchell McClenaghan, Alzarri Joseph, Jason Behrendorff, Anukul Roy, Rasikh Salam, Anmolpreet Singh, Barinder Sran, Aditya Tare, Suryakumar Yadav, Jayant Yadav, Quinton de Kock (wk).